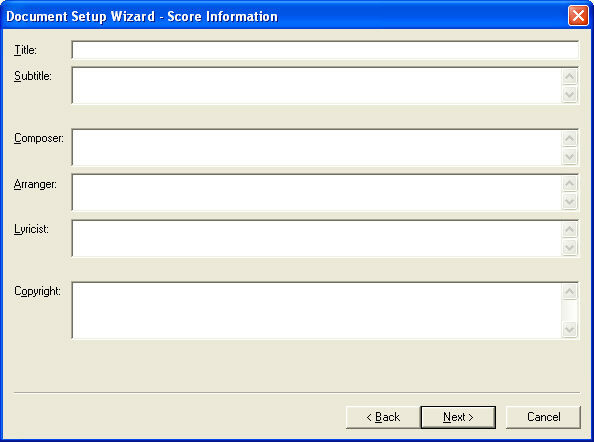 Score Page Size · Part Page Size; Portrait · Landscape. 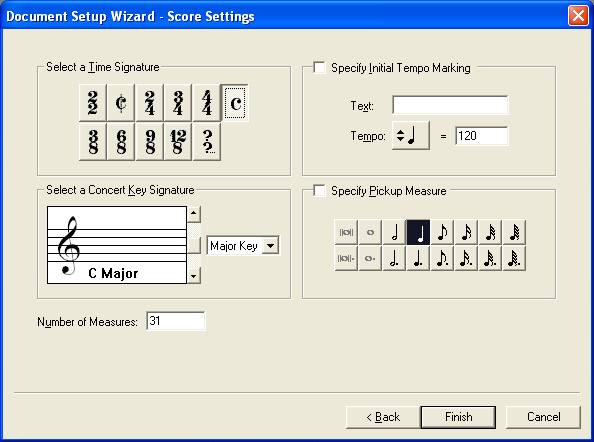 Use the Select Score Page Size drop-down menu to choose the page size you want to use for the score; use the subsequent radio buttons to specify whether the score will be in portrait or landscape orientation. Use the identical Part Page Size controls to specify these settings for linked parts (see Linked Parts). The page size information is stored in the text file pagesizes.txt and can be edited to your specifications. See Configuring Pagesizes.txt in the Appendix. Instrument Set. 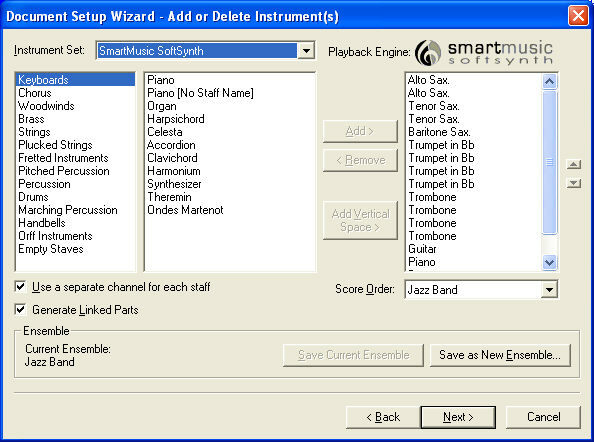 From this drop-down menu, choose an instrument set optimized for playback using one of the sound libraries. 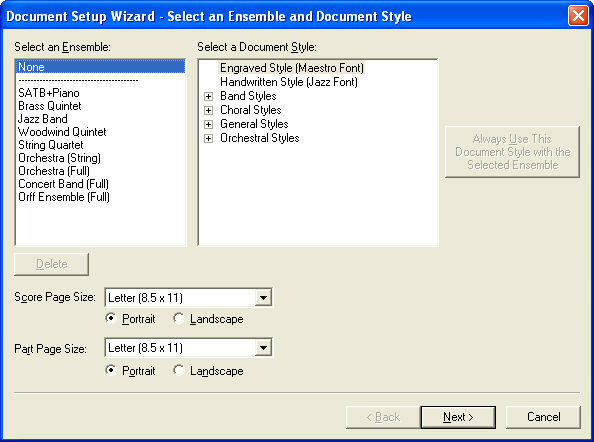 For example, if you select Garritan Instruments for Finale 2011, choices in the lists below update to instrument staves designed for playback using Finale’s built-in GPO sounds. If you choose Tapspace Instruments for Finale 2010, Finale displays the Tapspace drumline instruments. To assign VST instruments, use the VST Instruments dialog box. See VST Instruments dialog box. Select a Concert Key Signature. Use the scroll bar to select a key. Click the up arrow to add sharps or subtract flats; click the down arrow to add flats or subtract sharps. Use the drop down menu to specify major or minor.